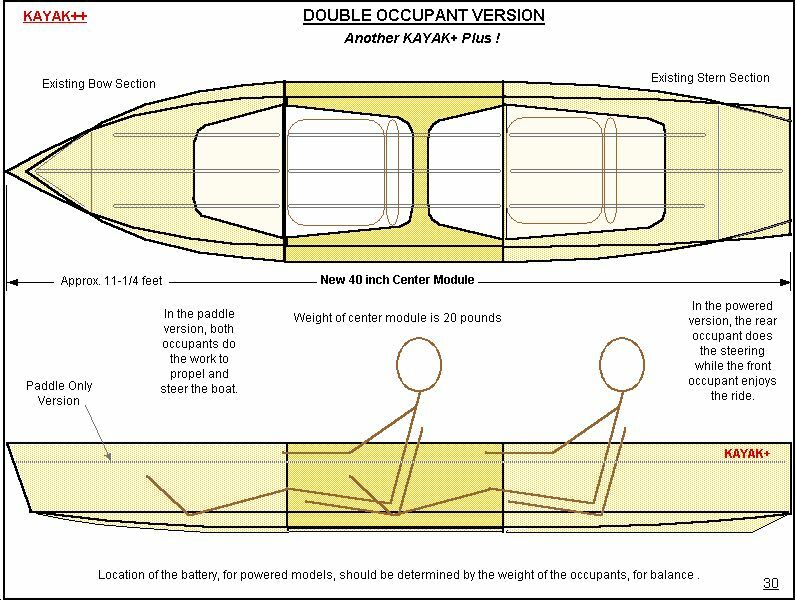 KAYAK+ is a 1 or 2 occupant, paddle or motor powered, small portable 2 or 3 part modular boat. 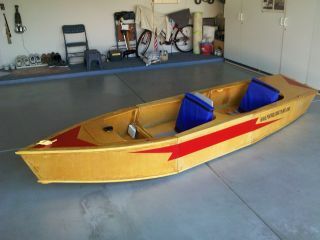 Ideal for cruising inland lakes and waterways. 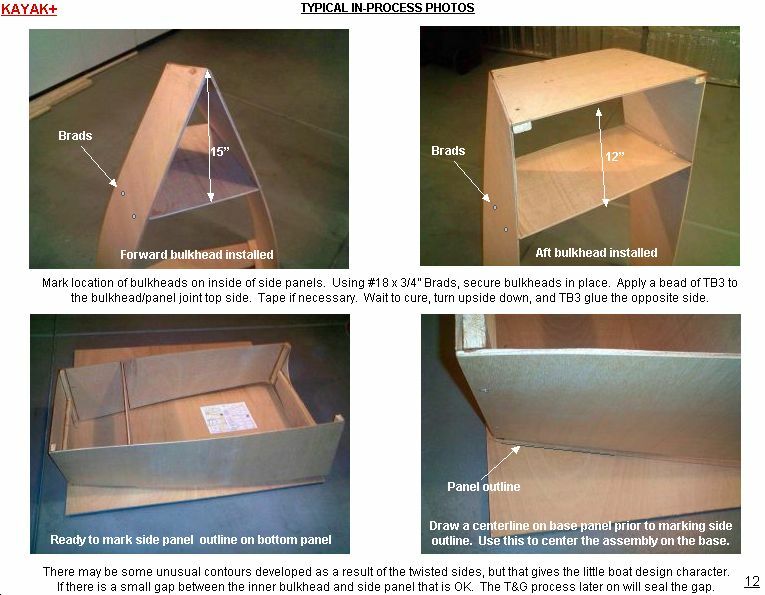 Sample Assembly Photos from Instructions. Optional canopy top, for those hot, and sunny, summer days. KAYAK+ with 2 Sections on Beach Ready for Assembly. A windy day on the water. Completed Center Module. Waiting for Water Testing. Return to the menu bar to review other portable boat designs, or to obtain plan pricing information. Just got back from the cottage and did some more work to the toter. Well, I have some good news and some bad news. During the weekend the weather was not too great and the lake had wind blown waves of approx. half to one foot in height. As I'm a brave soul. and sea water runs in my veins. I decided that I could not stand it anymore and set forth with the Kayak+ for a sail. Everything thing was going fine as I ran with the wind and waves, the funny sensation on the aft being pushed and lifted. I was very happy with the balance and no water coming over the stern. I then made a cut against the wind in the leeward side of a small island. Then to my horror the wind increased and in the shallows the waves strength became stronger. I was now in 1ft waves and approx 6ft between each, and white capped. I had faith in the design and build that my small craft would not bust open. after another 10 mins I decided to return home with 3/4 speed on the trolling motor. The run back was more fun as I began to ride up one wave and cut through the next. The bad news was that I should have fitted a splash deflector after my last outing. The only draw back with the bow being flat is that the waves sometimes crash onto the bow, then in slow motion make their way back to the open cockpit. There go my trousers again, and wipe down with a cloth. I would amend the design and add a water deflector before the cockpit as to stop any ingress of spray or water making it back to the operator. My family was at the dock worried that I was going to get swamped and sink. They watched as my Kayak+ rode the waves and there I was with a silly smile enjoying every minute. Good news the redesigned bow section of my Toter2 worked, with no major stress on the bulkhead, and as the pictures show, it lends itself to the boat shape. I must say tonight was the first time I put all sections together and was very surprised at the result. She has a wonderful line for a small craft, and I'm looking forward to see her in the water and under sail. 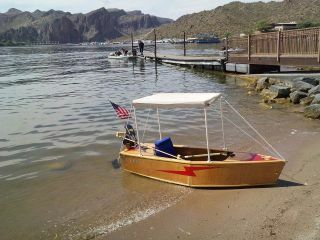 I have been invited to a private lake that's more sheltered and has less traffic , so that I can test the boat out. 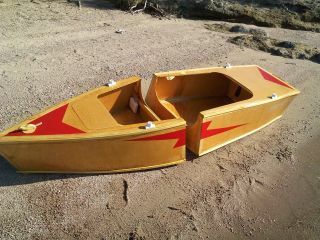 You have made a wonderful looking boat here and I think I'll get some heads turning once she 's in the water. I will study these pages this evening when I have time.........After a quick look I am astounded by your level of detail on how to build this craft. Many designers take a lot for granted in regards to builders skills...........this concept has come so far from "Toter"you have now got a "real"boat thats unique for people to build and enjoy..................I don't know if I mentioned it but I have two sisters and there families living in Adelaide its my home town Mums there too. One lives in Fitzroy the other in Unley. I'm sure your niece would know the suburbs, Adelaide is quiet small...............Who knows they may even know each other!! !.............Looking forward to your next design. It's been a while. How are things down under? Just getting over the winter months I assume, and waiting for the good boating weather. How is the little Tug doing? Thanks for the kind words about the Kayak+. It has been a good design project, and I am enjoying it. The center module should be complete this week, and I will send you pictures. 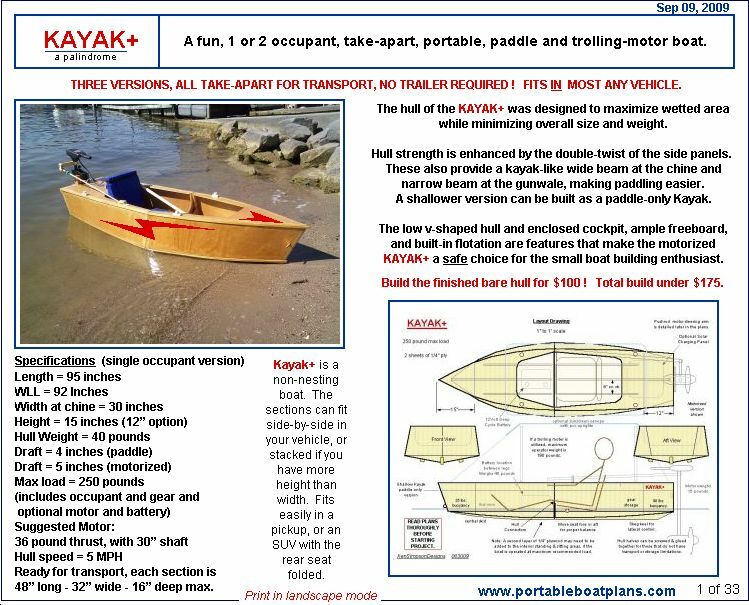 This is probably the most useful boat I have built, as it can be configured in a variety of ways, to pacify almost any small boating enthusiast. 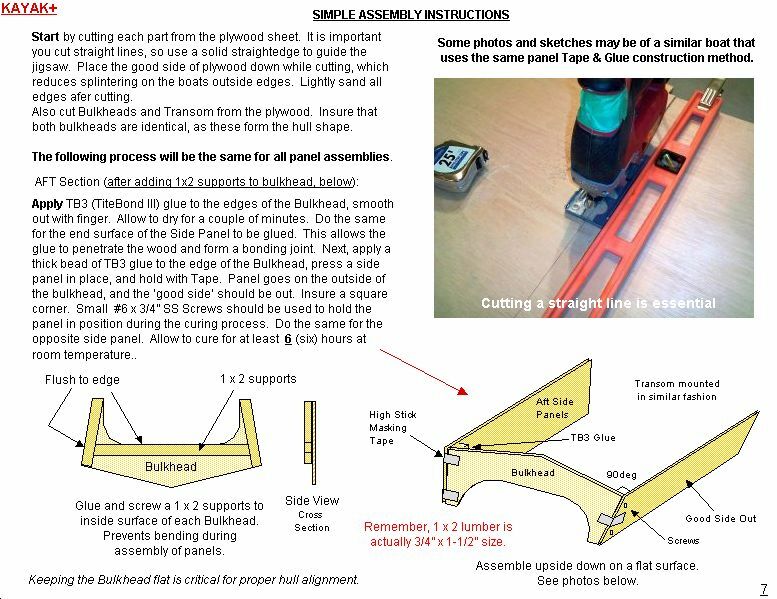 It's easy to cut out and easy to assemble. No forms required, and for most people, no trailer for transport.